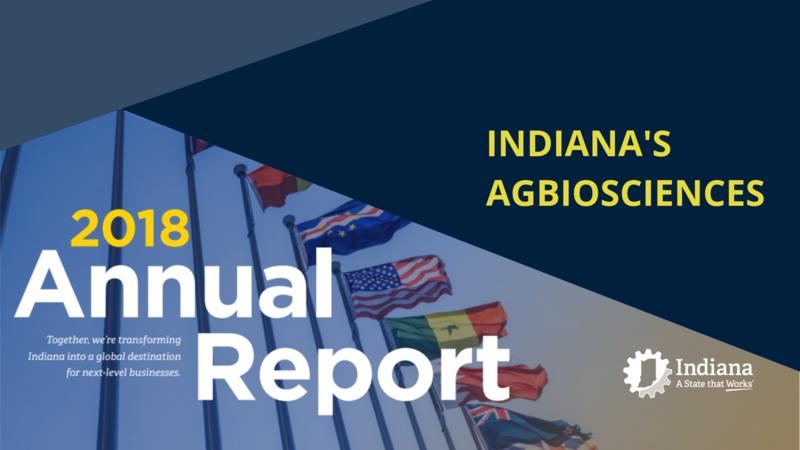 In 2018, Indiana’s agbioscience sector showed the world why the Hoosier state is primed to yield a strong bounty for years to come. These are the stalwarts of the Hoosier economy. And certainly, they aren’t going anywhere. In fact, they’re evolving right along with the economy itself, developing new technologies and even creating new industries, like agbiosciences – the intersection of agriculture, life sciences and information technology. It’s quickly becoming one of the state’s most promising and fastest-growing business sectors. Across the state, Hoosiers are forging ahead, focused on tackling critical world challenges in food security and animal health. In Greenfield, Elanco’s digital transformation is accelerating as the company probes its troves of big data for connections among disease, productivity and animal-health optimization. “We keep coming with a portfolio of innovations,” says CEO Jeff Simmons. The company is harnessing artificial intelligence to develop new antibiotics for pigs; acquiring IP for probiotic feed for chickens; and leveraging the Internet of Things (loT) for tighter connections to customers ranging from Brazilian cattle farmers to American veterinarians. Similarly, Corteva Agriscience, a champion of responsible agriculture, is tapping into innovation to help feed a planet of nine billion people and growing. The company, which selected Indianapolis to be one of its leading global R&D hubs following the merger of DuPont and The Dow Chemical Company, is utilizing digital technologies and seed product development tools like gene editing to offer farmers integrated solutions for their most pressing challenges. Ag innovation leaders are at home in Indiana – the heart of the Heartland – thanks to the state’s rich tradition of agriculture and the talent pipeline being developed here at institutions like Purdue University, Huntington University and Ivy Tech. “We get a front seat in innovation because of all the patents, knowledge and awareness here around the importance of agriculture,” notes Simmons. That’s helped make Indiana a “magnet for talent,” according to Scott Hutchins, former global director of R&D at Corteva Agriscience. 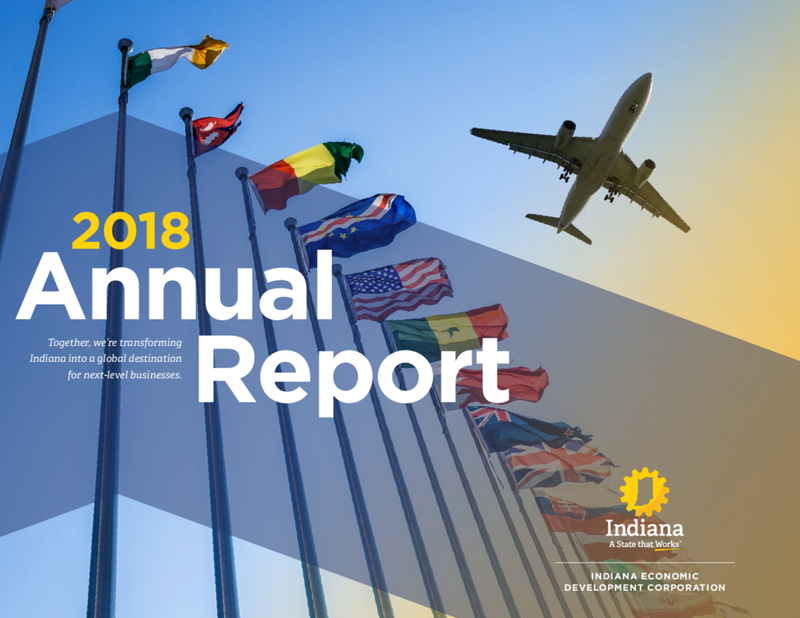 “That’s a message we’re delivering to the world,” added IEDC President Elaine Bedel, citing recent industry events in Indiana like the annual FFA National Convention and Agbioscience Innovation Summit as well as ag-focused international delegations led by Gov. Holcomb and Lt. Governor Crouch to Israel and Canada, respectively- all aimed at telling Indiana’s story to industry leaders and startups alike, connecting with outside markets, and bringing investment and jobs to Indiana. Background: The company chose Purdue Research Park for its next strategic location to lead its efforts to revolutionize the seed industry and create a resilient, eco-friendly food system that promotes better health. Learn more. Background: The digital agriculture company will establish its first U.S. headquarters near Purdue University to bring its high-tech crop monitoring solutions to American farmers. Learn more. Background: The high-value liquid biofertilizer company is investing $10 million to establish operations in Indiana, building a full-scale manufacturing plant to cultivate field-proven biofertilizers and biostimulants. Learn more. Background: The investment and tech firm is partnering with Indiana companies to expand its THRIVE AgTech accelerator program to the Midwest to improve technologies that monitor animal health and increase the efficiency of agricultural practices. Learn more. In May, Gov. Holcomb led an agbiosciences-focused delegation to Israel joined by Indiana State Department of Agriculture Director Bruce Kettler, AgriNovus Indiana President and CEO Beth Bechdol and representatives of the state’s agbioscience sector. 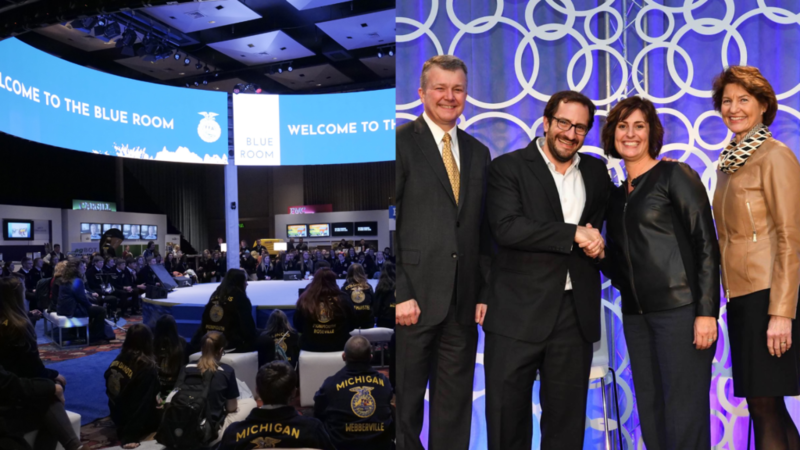 During the trip, the delegation established new partnerships with ag and tech leaders and attended the Agritech Israel Conference in Tel Aviv, where the governor highlighted Indiana’s rich history of agriculture, new innovations and opportunities for growth within the industry. 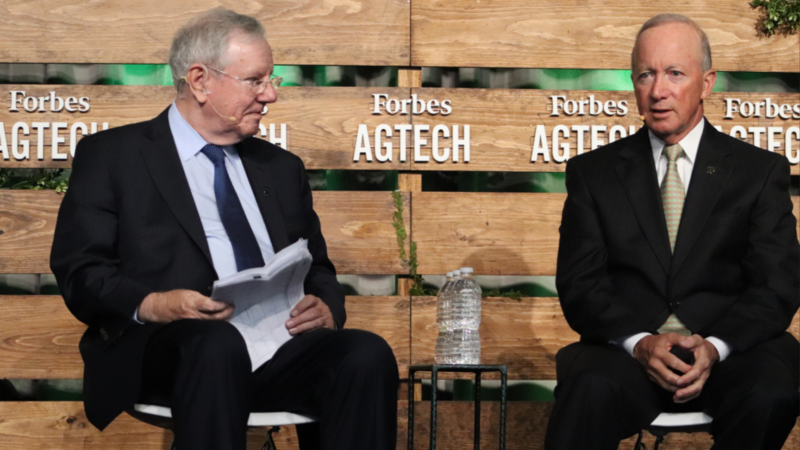 In September, Indiana hosted Forbes’ first-ever Forbes AgTech summit in the Midwest. The event convened more than 500 global agriculture leaders and entrepreneurs, who highlighted ideas and solutions that growers and processors can put to use in their fields today. The summit gave Indiana stakeholders the opportunity to highlight agtech developments being made across the state and to connect with industry leaders to create new partnerships focused on innovation within global agtecth issues, including Al, big data, blockchain, crop protection, gene editing, microbiome, robotics, soil health, sustainability, and animal health.